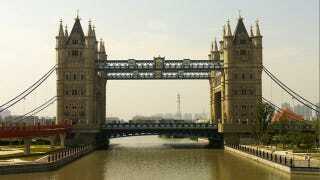 A Chinese construction company recreated London's iconic Tower Bridge in the city of Suzhou. A local tourist trap, the structure also offers "Tower Bridge Coffee" at an English style coffee shop. Check out more pics in the above gallery.